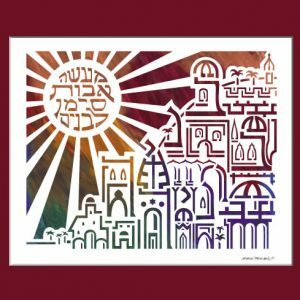 Categories: For Parents and Grandparents, Gifts for the Jewish Home, Gifts for the Professional, Great Gifts for the Holidays!. 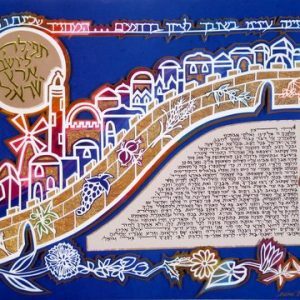 Tags: Jewish Art, Judaica gifts, Marci Wiesel, Prayer For Health, Traditional Jewish Gifts, תפילה לבריאות. Marci Wiesel’s asymmetric design, inspired by images of healthy neurons and blood cells, conveys ever changing movement. 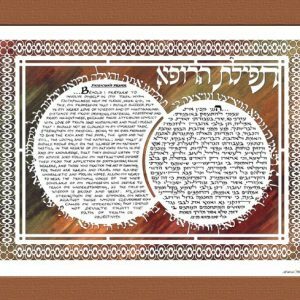 Our organs and bodily systems are in constant motion and we must rely on G-d for our bodies to function properly. 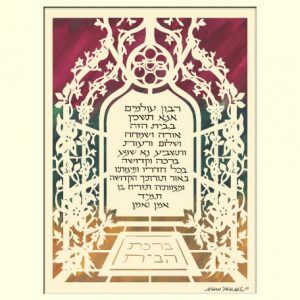 The text of this prayer for health was written by Rabbi Chaim Joseph David Azulay otherwise known as “The Chiddah” (1724-1806). 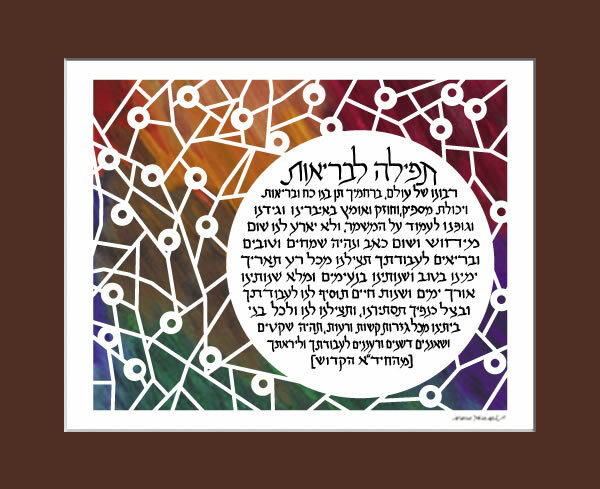 May G-d answer the words of this Prayer for Good Health, so that we can better serve Him.